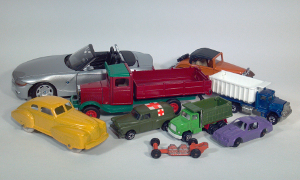 An online encyclopedia focused on diecast, scale model & toy vehicles. 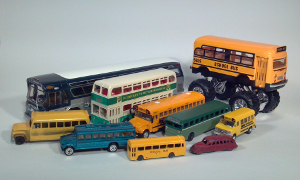 Specializing in North American Buses, and Tootsietoy Diecast Vehicles. Looking for something fun? We always have a large number of die-cast and other scale model buses, cars, trucks and specialty vehicles for sale in our eBay store. Explore over 60 pages of bus toy/model manufacturers! All pages feature high quality images and detailed information about scale model and toy buses of all types, including transit buses, intercity coaches, school buses and even some foreign buses. Information and images relating to diecast cars, trucks, vans, fire engines, police cars, snow plows, semi tractor trailers and much more!